The Highland Council has received the consultants report on the investigation of a former landfill site in Caithness, which is currently a community woodland. Neighbouring residents in 25 properties close to the site, and community groups which use the site, have been advised of the findings and recommendations of the report. The site at Newtonhill is approximately 2Km south west of the centre of Wick. The Council had a duty to investigate land such as this to identify whether it is contaminated land and ensure that any necessary remediation is carried out. 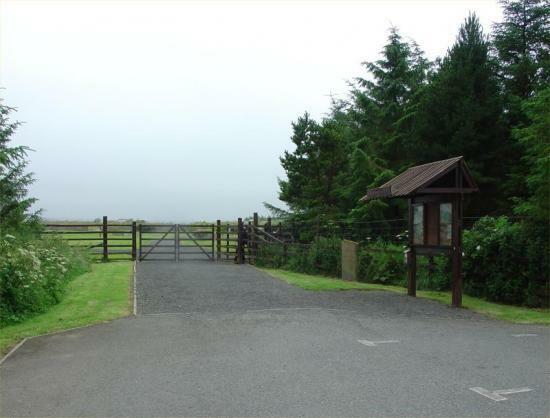 The landfill was operated by the former Caithness County and District Councils from the mid 1960s until its closure in the mid 1970's and has been managed as a community woodland since 1996. The site works commenced in January 2007 with the installation of 26 monitoring boreholes and 25 trial pits, for soil, soil gas and groundwater monitoring. A period of 12 months of soil gas monitoring was completed in January 2008, and the consultants report was received in February 2008. The investigation has demonstrated that there is no risk to any of the neighbouring properties from gases generated from within the landfill. Elevated levels of some contaminants such as heavy metals and arsenic, and the presence of asbestos, were found within the site soils and surface waters, for which further investigation has been recommended. The Council have contacted the consultant and requested a detailed scope of works for a second phase of investigation, which includes further soil and water monitoring. The Highland Council is carrying out this work in the interest of public safety and as a precaution, given the uncertainty regarding risk to site users, the Council has decided to close the site while further investigation and assessments are undertaken. Site users with any queries should contact David Sutherland, Ward Manager Thurso, Wick & Landward Caithness on tel: (01955) 607740 or the Contaminated Land Team in Inverness on Freephone 0800 838 009. The 0800 number will be staffed from 9 am ~ 5 pm Monday to Friday (with the exception of Easter Friday and Monday when Council offices are closed).